Let’s face it – we all love pizza. 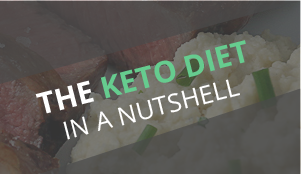 Though, when we’re on a ketogenic diet, it can be pretty tough to have the things we want – but pizza isn’t one of them. You can make your own dough, top it, and have it on your plate within 30 minutes of starting dinner. 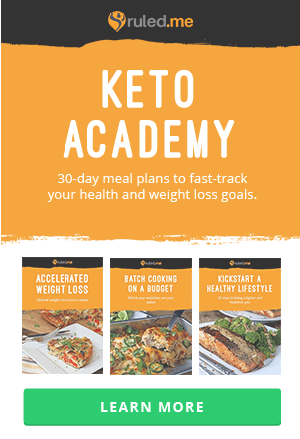 Now, would Rachel Ray really believe us when we told her that it’s all low carb, too? I don’t think so. We’re going to make an absolutely delicious and fresh pizza. 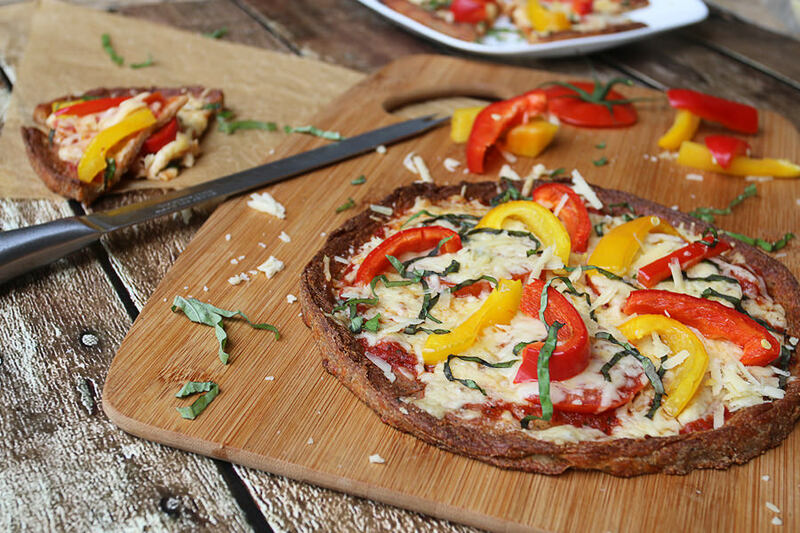 Topped with red and yellow bell pepper that bring a fantastic crunch, sweetness, and fresh aspect to every single bite. On top of that, we’re adding freshly chopped basil which brings everything together with a hint of summer that I’m sure you’ll love. 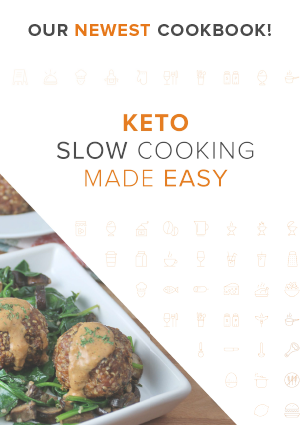 Fresh tomato with a combination of pre-made sauce is a great “easy way out” to making your own sauce from scratch, and we can still keep it perfect for keto. 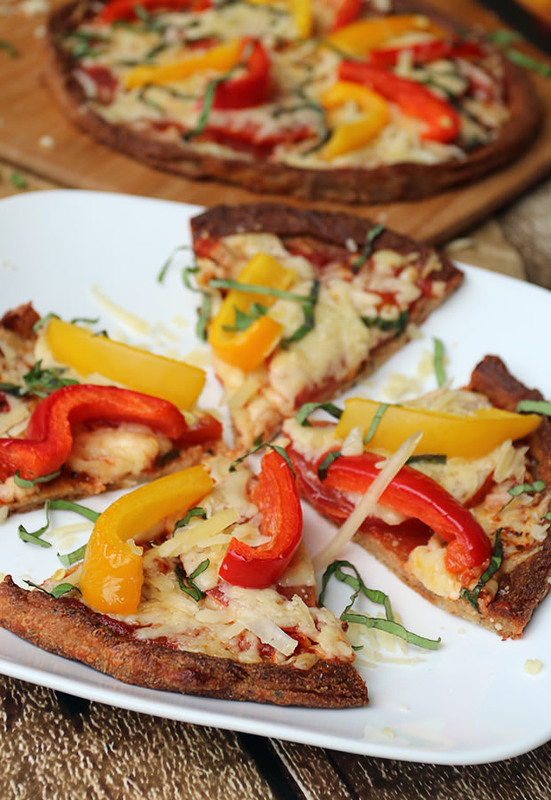 The dough is made from cheese and almond flour, and if you’ve been following me for a while, you’ll notice that it’s the same base I’ve used before in the Kitchen Sink Pizza (wow, how the photographs have changed!). 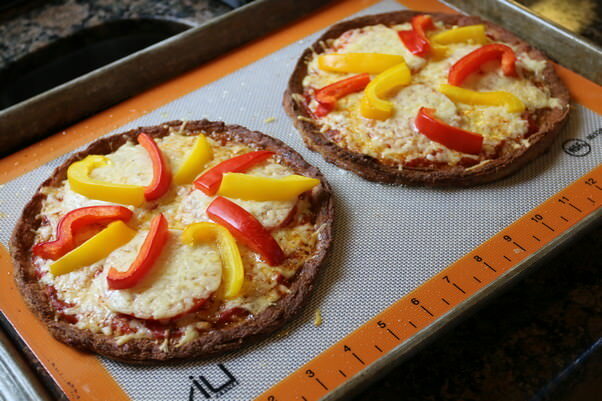 If you’re a fan of thin crust pizza, slices that you can pick up with your hand and won’t flop down or fall apart (I’m looking at you, tortilla pizza), and general deliciousness – then don’t hesitate to make this! If you want to make this into 1 large pizza, feel free. I like making things a bit smaller so that I can save leftovers and feel better when I say I ate half of a pizza. 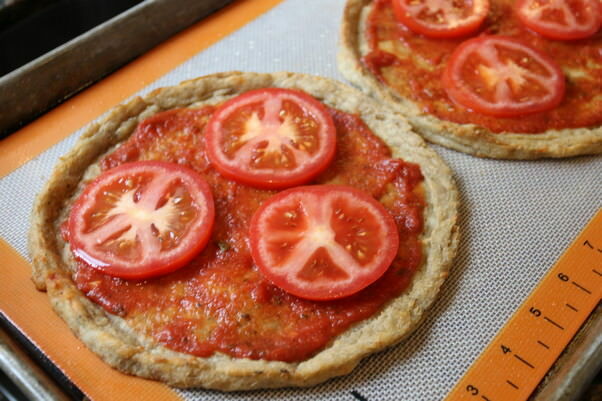 But it may save you about 3-4 minutes to make 1 large pizza instead of rolling out the dough twice. 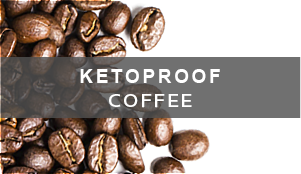 Let us all know how you like it in the comments below! 1. Preheat oven to 400F. Start by measuring out all of your dry spices and flours in a bowl. 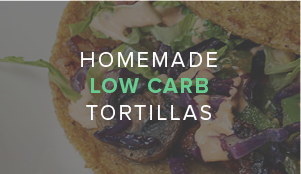 1/2 cup Almond Flour, 2 tbsp. Psyllium Husk, 2 tbsp. 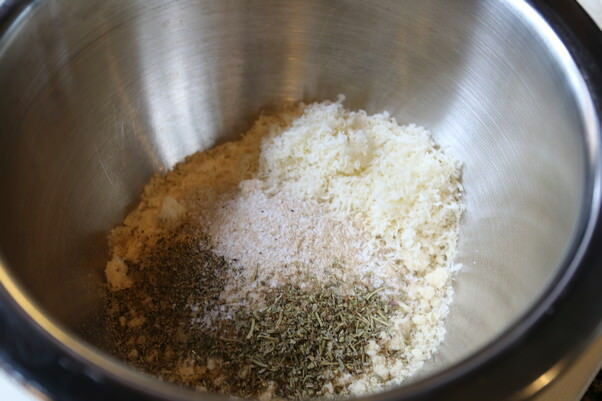 Fresh Parmesan Cheese, 1 tsp. Italian Seasoning, 1/2 tsp. Salt, and 1/2 tsp. Pepper. 2. Measure out 6 oz. 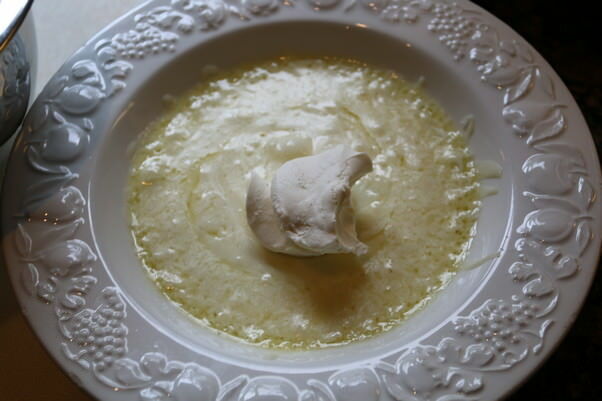 Mozzarella Cheese into a bowl. 3. Microwave the cheese for 40-50 seconds until it’s completely melted and pliable with your hands. Add 2 tbsp. Cream Cheese to the top. 4. 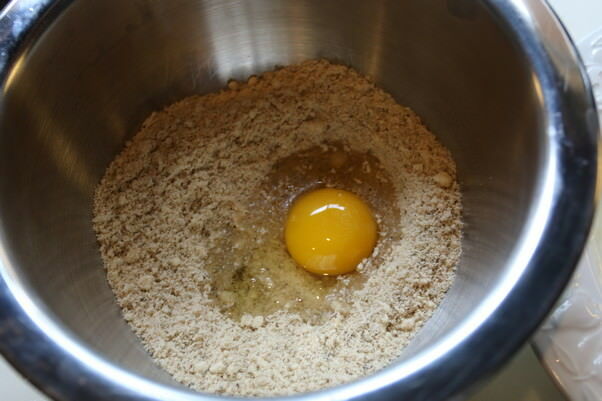 Add 1 egg to the dry ingredients and mix together a little bit. 5. Add the melted mozzarella cheese and cream cheese to the egg and dry ingredients and mix everything together. Don’t mind getting your hands dirty here – they’ll be the best tool for the job. You’ll get a bit messy, but it’ll be oh so worth it in the end. 6. 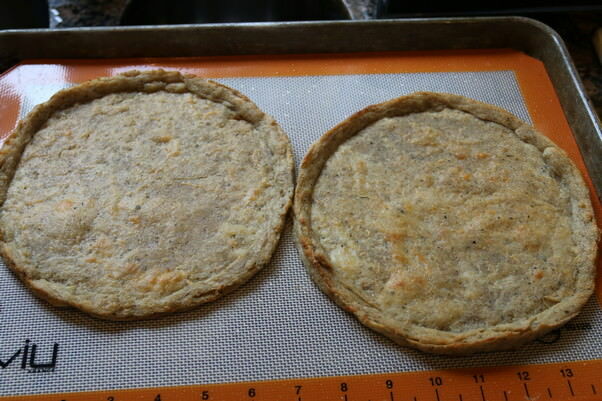 Break the dough into 2 equal (or almost equal) portions. 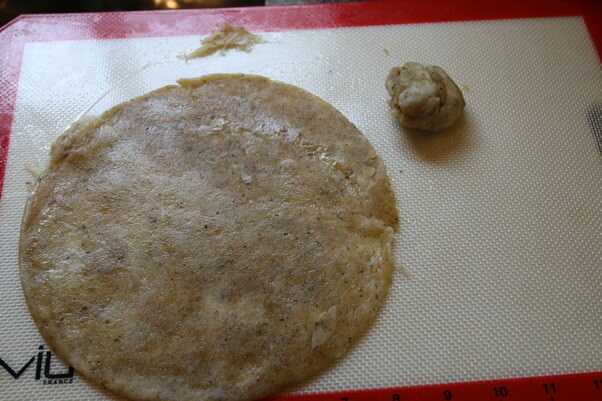 Roll the dough out quite thin – a little under 1/4″. 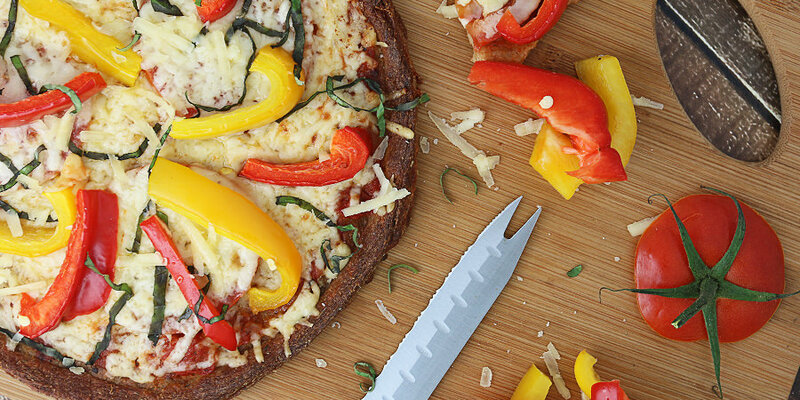 Here, you can use the top of a pot or other large round object to cut out your pizza base. You can form the circles by hand, but I’m not a very smart person and mine always turn out oval. When I work with this, I always like to work on top of a silpat because it’s naturally non-stick. 7. 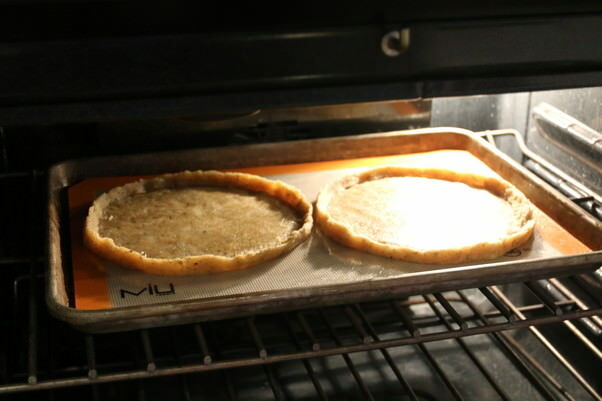 Fold the edges of the dough inward and form a small crust on the dough. 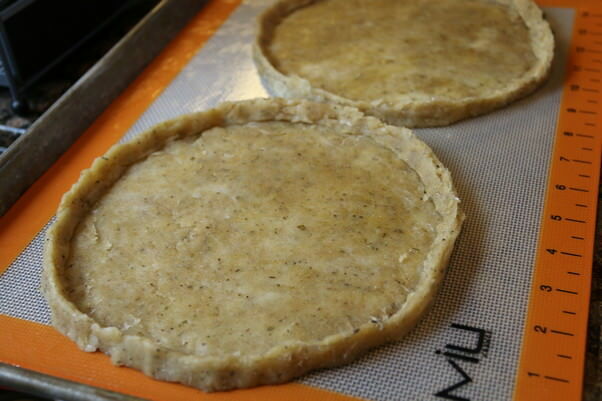 If you have any scraps remaining, you can add it into the crust if you want. 8. 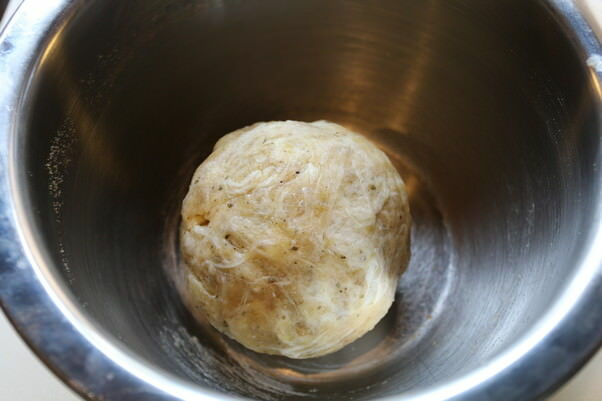 Bake the dough for 10 minutes. Just enough so they’re starting to get slightly golden brown. 9. Remove the crust from the oven and let cool for a moment. 11. Top these suckers with cheese – about 2 oz. 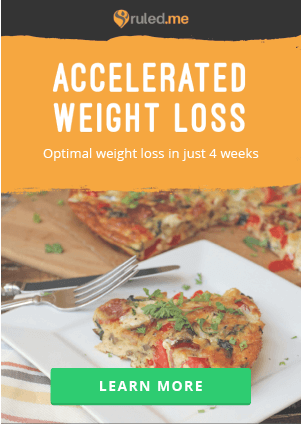 Shredded Cheddar per pizza. 12. Chop up the bell peppers. You can use 1 bell pepper or 2 different colors. 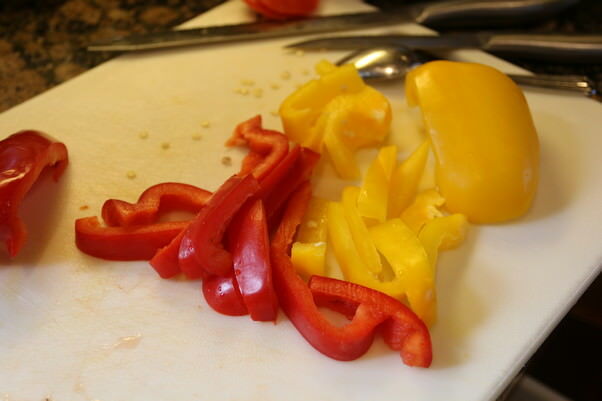 I am using 1/3 red bell pepper and 1/3 yellow bell pepper for the topping. 13. Arrange the peppers how you like and throw it back in the oven for another 8-10 minutes. 14. Remove the pizzas from the oven and let cool. In the meantime, slice up some fresh basil and have it ready for serving. 15. Serve it up – top with fresh basil and enjoy the fresh bites of summer! This makes 2 pizzas. 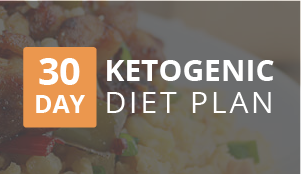 Per ½ of a pizza, this is 411.5 Calories, 31.32g Fats, 6.46g Net Carbs, and 22.26g Protein. This makes 2 pizzas. Per 1/2 of a pizza, this is 411.5 Calories, 31.32g Fats, 6.46g Net Carbs, and 22.26g Protein. 2. 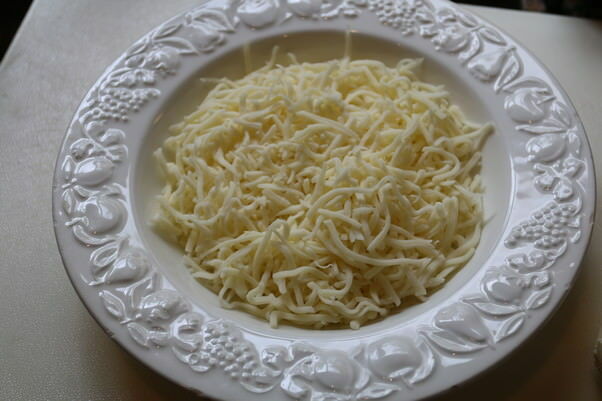 Microwave mozarella cheese for 40-50 seconds or until completely melted and pliable. 3. 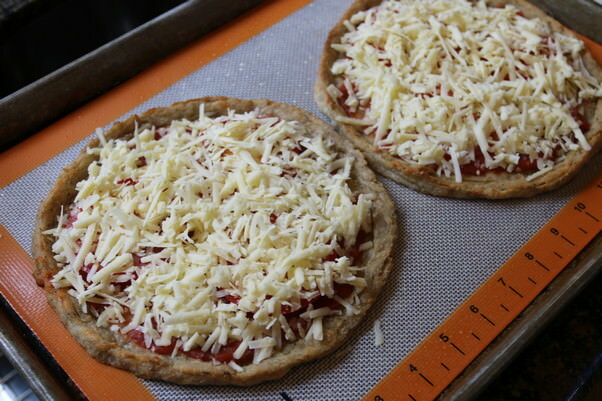 Add the rest of the pizza ingredients (EXCEPT for toppings) to the cheese and mix together well with your hands. 4. Using your hands or a rolling pin, flatten the dough and form a circle. 5. 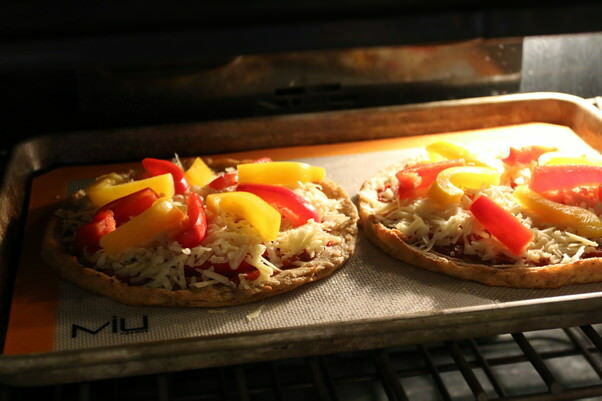 Bake for 10 minutes, and remove pizza from the oven. Top the pizza with the toppings and bake for another 8-10 minutes. 6. Remove pizza from the oven and let cool.